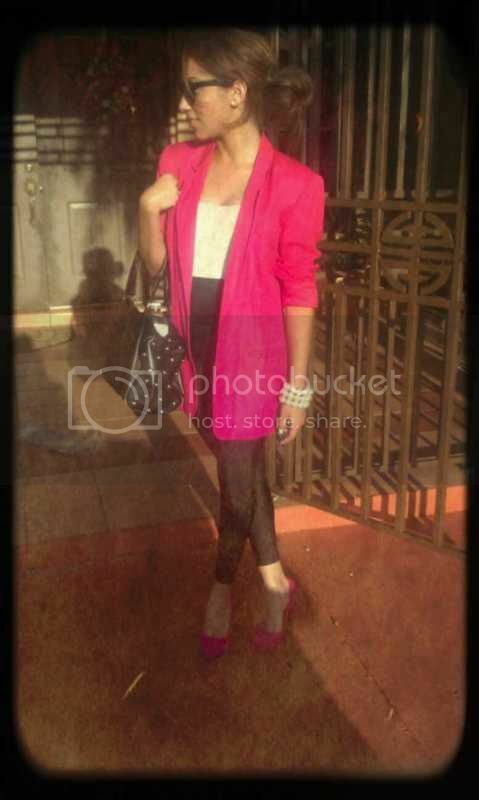 Lynnette Joselly: Outfit of the Day: A Pink Blazer w/ Black Leggings. Outfit of the Day: A Pink Blazer w/ Black Leggings. 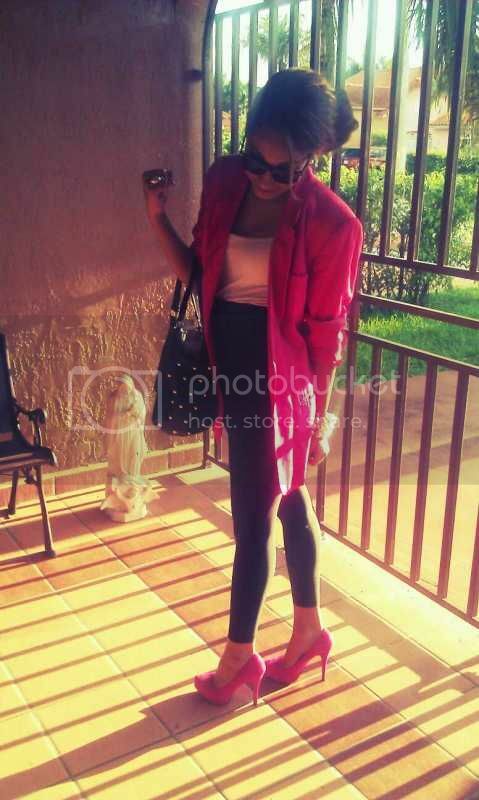 What I Wore: Pink Blazer (Thrift Store), White Tank Top (Forever 21), Black High-waist Leggings (American Apparel), Black Shades (Urban Outfitters) and Pink Suede Pumps(Online Boutique).